Everyone wants to be heard, right? It’s one of the basic psychology factors of the human mind. But what happens when you’re voice is not heard even though you have put enough effort into it. The effort will get wasted along with the time spent for it & you will also feel disappointed. For that not to happen we take some precautions while delivering the message to another person. We alter the message in a more interesting way for the listener, double check the time to see whether it’s apt, we also try to keep it concise so the listener won’t get bored etc. The same applies to email marketing. Every marketer wants messages that he sends out, to be read by the targeted audience. But what the marketers should realize is that the tabs where your email lands make a pretty big impact on the Gmail open rates. The messages that land in the primary tab gets read more than the ones that end up in the promotion tab. This is mainly because mails that arrive in the promotion tab go unnoticed while the ones that arrive in primary inbox are notified on the user’s phone. Now let’s see what is the significance of your emails landing either in the primary inbox tab or the promotion tab of a Gmail user. Primary inbox is more of a personal environment of the user while the promotion tab is kind of the allotted space for advertisements. So, if your email that has landed in the promotion tab to be read, the user has to make the decision to switch to that particular tab. But then your particular email should also stand out from the bunch of other promotional emails because…well all of them will be screaming for attention of the user. So the marketers should actually focus to make sure that their mail gets landed in the primary tab instead of the promotion tab to increase the number of unique open rates. Let’s check into some of the secrets that marketers should know regarding landing of their messages in the reader’s inbox. Firstly only Google knows what algorithms are used to decide what emails go into the inbox, the promotions tab & spam folder. Chris Lang, a famous Email deliverability expert has stated that Gmail has somewhere between 450 & 550 different indicators of quality that help decide the fate of each email that’s delivered to Gmail. You need to realize that you shouldn’t trust your own inbox because you’ll always be reading your messages & telling Google that your stuff is 100 times more important than anyone else will tell them. Marketers should not believe in the tools that measure deliverability or “inbox placement” as they use seed addresses that don’t mimic real behavior. Marketers should never try to game the system as Google is smarter than most of us & even if a promotion is made to look like something else, Google will still catch you. So what should the marketers do to capture the user’s attention? Let’s have deep look into to some of the techniques that marketers should follow for getting their emails to land in the primary tab of Gmail users. It’s human nature to respond to someone who is already familiar with us. Marketers can use this psychological factor for the success of their email campaigns by making the mails more personalized. One way of doing that is by mentioning the reader by their name. This becomes easier if the correct contact data regarding the prospect or customer is available. 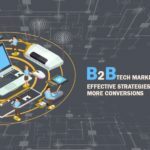 For example if the marketer is focusing on customers in the B2B segment, having a B2B email database will be of great help for email marketing. By using the merge tag tool into your email marketing program it’s possible to address the readers by their first name. Marketers can use tools like MailChimp & Aweber for these purposes which are free and perfect for beginners. It’s a lot better if you send your mails in the form of plain text. Primarily because unlike social media Gmail has its own set of rules. Google always sees images as a sign of promotion or spam message, no matter what the reason is. In regards with signatures it’s better to stay away from pretty mastheads & stick to a traditional email signature. By not having pictures in your email, you can optimize your readership to a greater extent. Most marketers focus on delivering value on blog posts & YouTube videos but completely neglect the fact that good value content is important in email marketing also. If you are not delivering value then you won’t be getting people’s attention in the inbox. Email inbox is a personal space & a great way to start a relationship with readers. Content is the key ingredient which decides what gets clicked or not. It’s important for marketers to focus on email worthy content which will force the recipients to keep your stuff out of the promotion tab. The age old method of spray & pray for email won’t work anymore with Gmail unless your aim is to end up in the promotion tab. By segmenting your audience your target range gets more specified & the chances of your mails getting opened increases in a huge way. Segmented email marketing is one of the strategies that marketers can apply by taking advantage of the data available regarding the audience. Better content can also be created with better segmentation since the marketers will have a better idea in who they are dealing with. Send your mails like you send to a friend. Meaning it doesn’t have to be entirely informal but should be short, to the point & never more than two links. The chances of a two page email with 10 outbound links will be definitely considered a promotional mail & there is no chance that it’ll end up in the primary tab of the reader. Try to make it as much natural & smooth as possible. However, just because you have kept the emails short & have less number of links doesn’t guarantee that the mails will land in the primary tab but will definitely increase the chances of it happening! By following these techniques you will be able to get your email into the primary inbox of Gmail so that as many people as possible will see it initially & open it. This will help in boosting your engagement with audience which will result in better webinar attendance & increased sales. Email marketing is still the best approach in Inbound marketing even though it is one of the first internet marketing methods that came into existence. What the marketers should focus is to use it precisely for ensuring maximum success for the efforts taken.